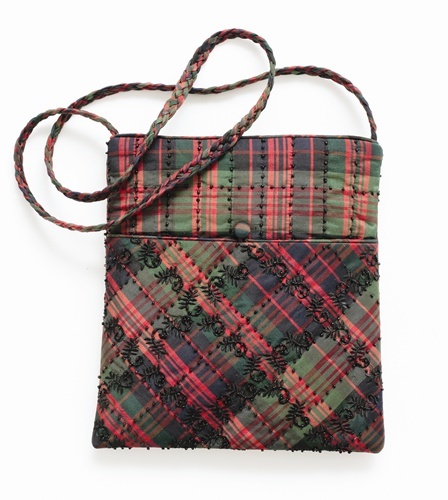 Our Silk Tartan Satchel is made from pure silk tartan which is then embroidered with black stitching and beading detail. It is a large satchel style bag, with a long strap making it very practical. This can be worn by day into night, it’s very unique and versatile.